Let me start with this statement: I. HATE. TREADMILL. RUNNING. The treadmill has never been something I have found to be particularly enjoyable. Honestly, treadmills bore me beyond imagination. I am one of those “weirdos” who would much rather be outside in any variety of conditions (rain, snow, wind, etc) than to be confined to staring at a boring screen let alone be in a line of others doing the same thing. 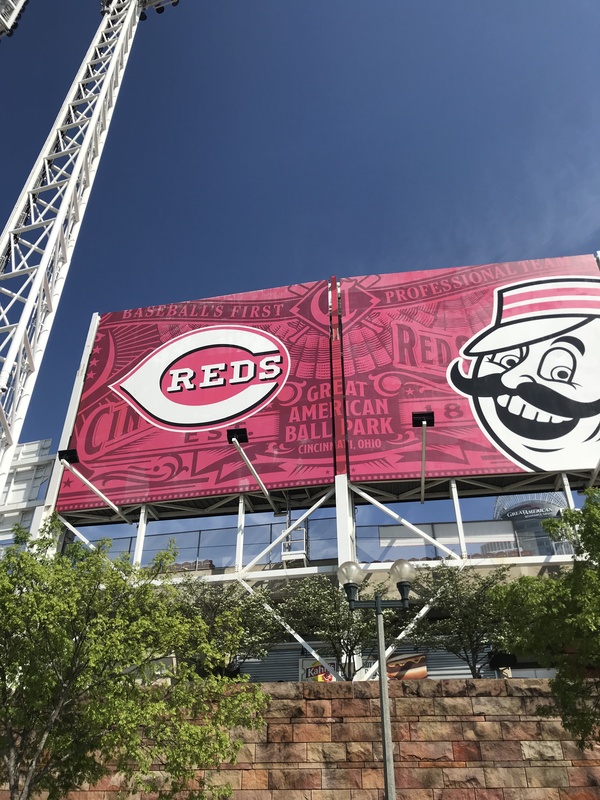 With that in mind, I was not convinced at all that I would get anything beneficial or enjoyable when the opportunity came to combine a treadmill with an app called Zwift. What is Zwift / Zwift Run? 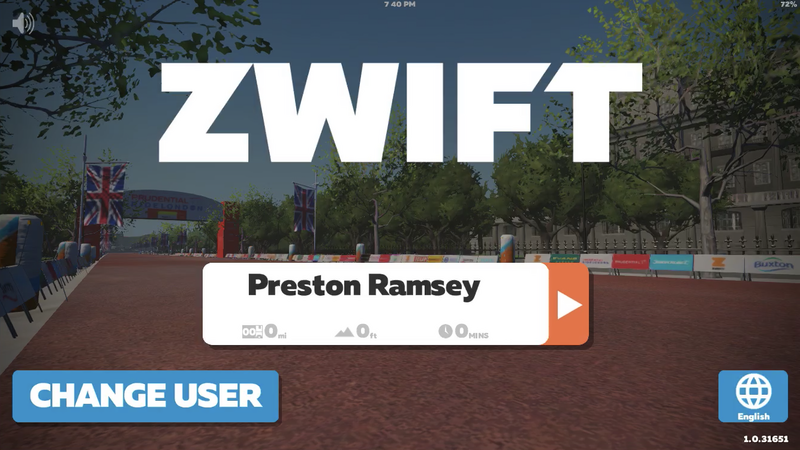 Zwift is primarily an online platform used by cyclists for indoor training. Cyclists can pair their controllable trainer as well as their bike with the Zwift app to ride on any number of courses in realtime with other cyclists from around the world. One can ride on their own in a free mode, tackle a structured workout/workout program, or even jump in on a group ride. Upon initial account setup, a cyclist gets a 7 day free trial and then must signup for a subscription, which starts at $14.99/month. Apply that ideology to running and you have Zwift Run. All a runner needs is a treadmill, a footpod (some work better than others), and a device – such as a laptop/tablet/or phone – to run Zwift. Alternatively, a runner could also use a Bluetooth-enabled treadmill. 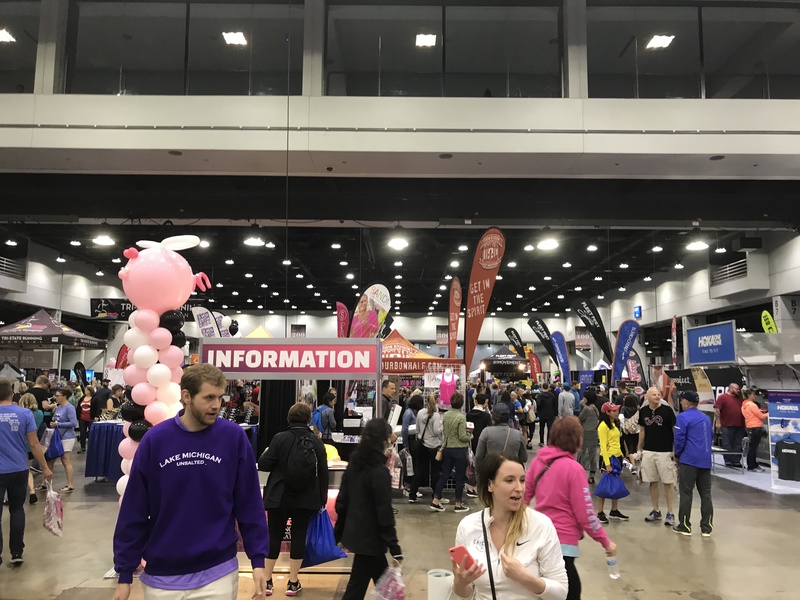 Ultimately, this allows runners to run more than 100k across a variety of routes, including virtual courses inspired by central London, Richmond, VA, and New York City. Similar to our cycling counterparts, runners can run in a free mode, tackle a specific workout or workout program, or join a scheduled group run – all in realtime with runners from across the world. 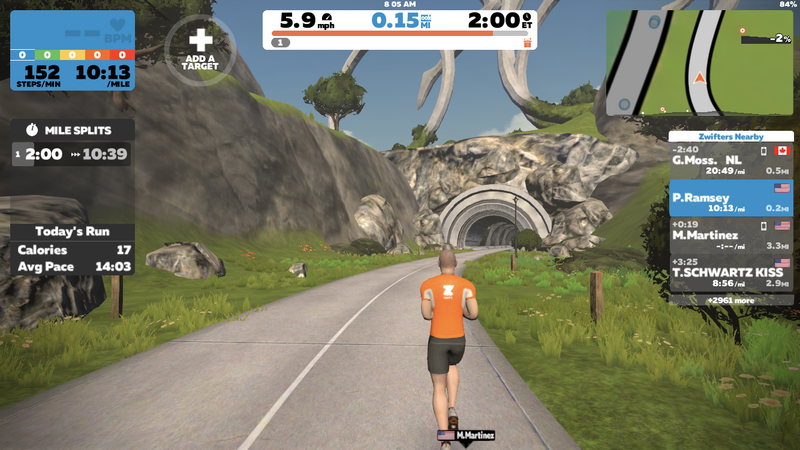 And of course, cyclists and runners alike can pair their Zwift account with other third-party apps, such as Strava, to keep track of distance and other stats. Oh, did I mention that Zwift Run is FREE? 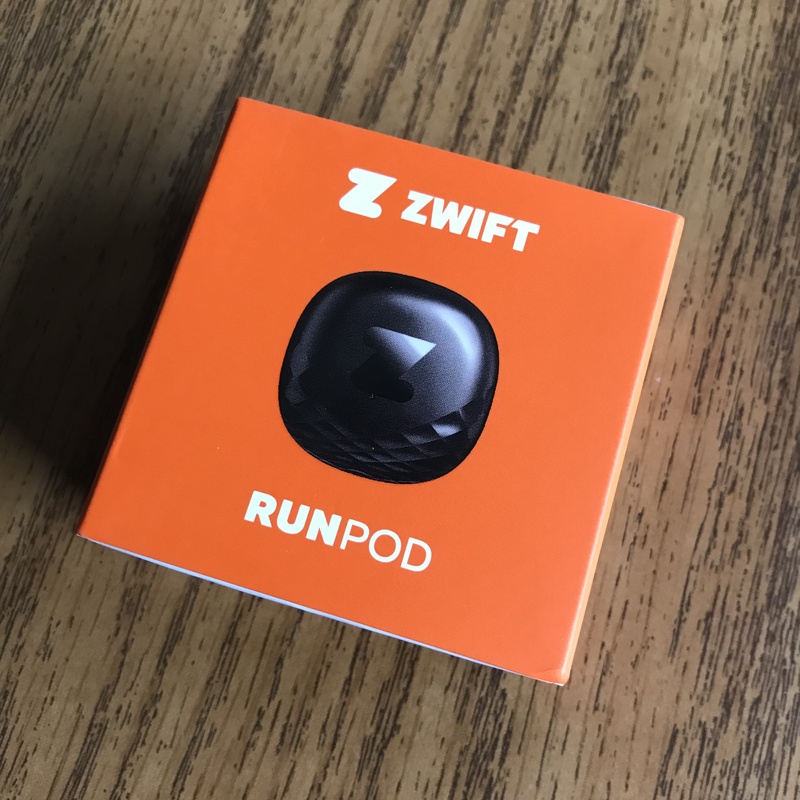 First things first, I received my Zwift RunPod with plenty of time before the BibRave Virtual 5k. 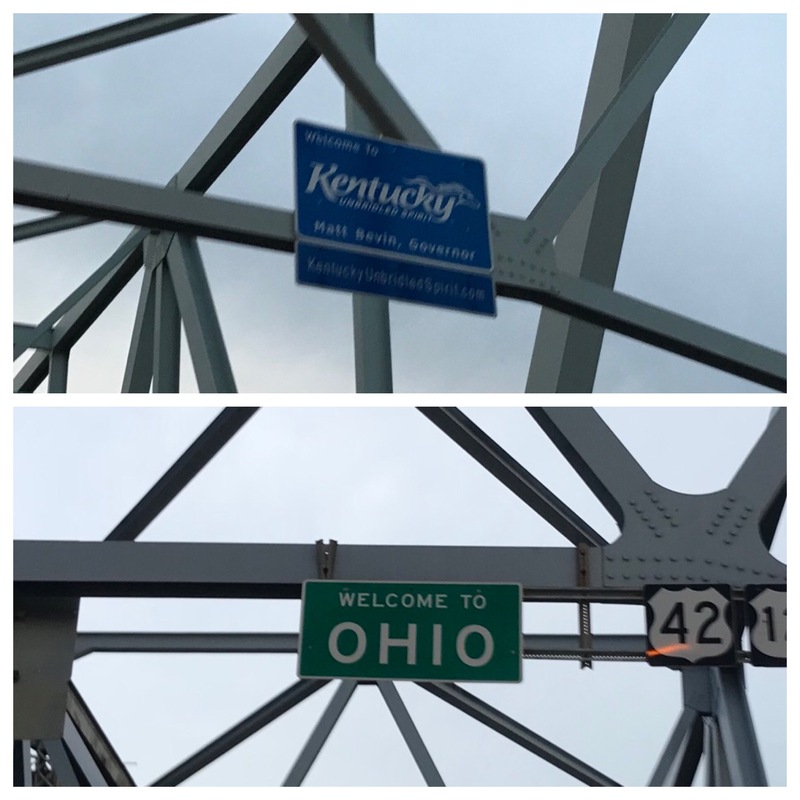 It was SUPER easy to set up. 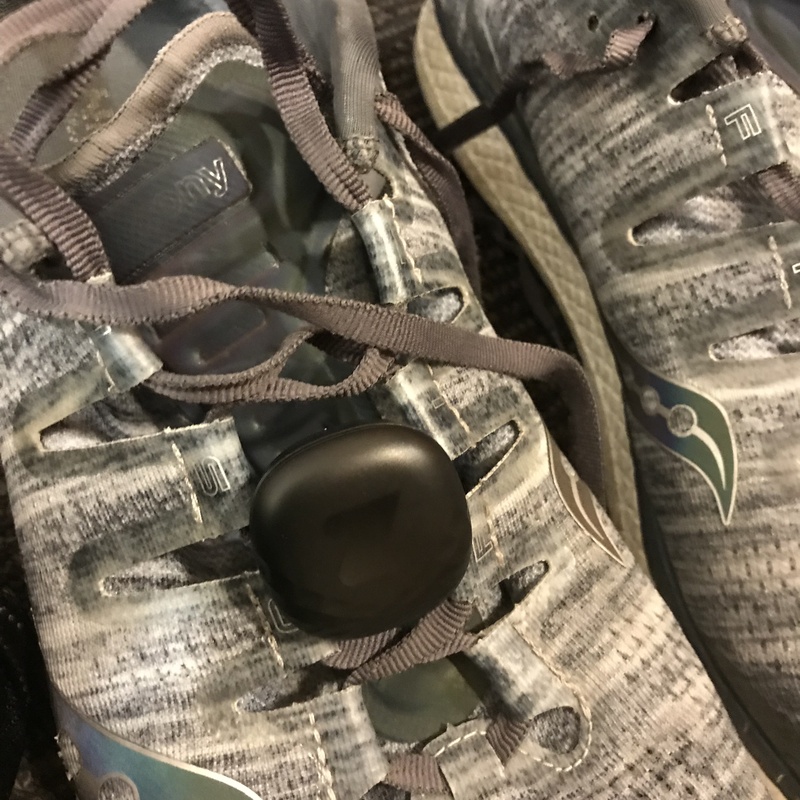 After I downloaded the Zwift app and got my account set up, I opened up the box, removed the protector plastic from the battery, and popped the pod on my shoe. At that point, I was ready to get on the treadmill and get going. Didn’t even really realize the pod was there! My view during my Zwift runs – apologies for the poor quality photo! When I made it to the gym and hopped on the treadmill for the first time, I was a little apprehensive about it. 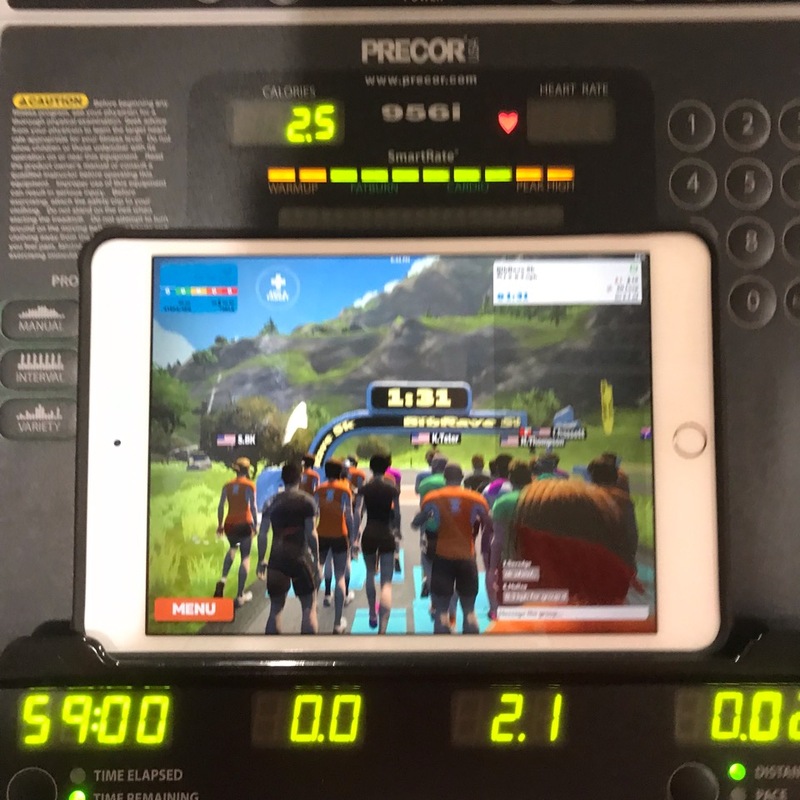 I was going to have my phone (or my tablet) on the treadmill with what looks like a video game on the screen. Thankfully, the app itself is very easy to use and makes your forget (for a little bit, at least) that you’re actually at the gym. The Zwift Companion app also makes it very easy to engage with the other runners (& cyclists) that are on at the same time! 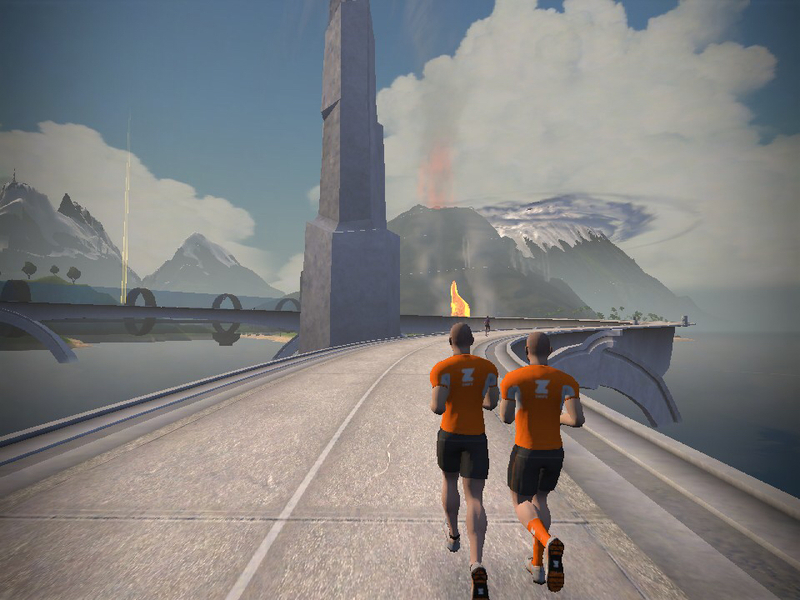 Running in Watopia – Zwift’s fictional virtual world. 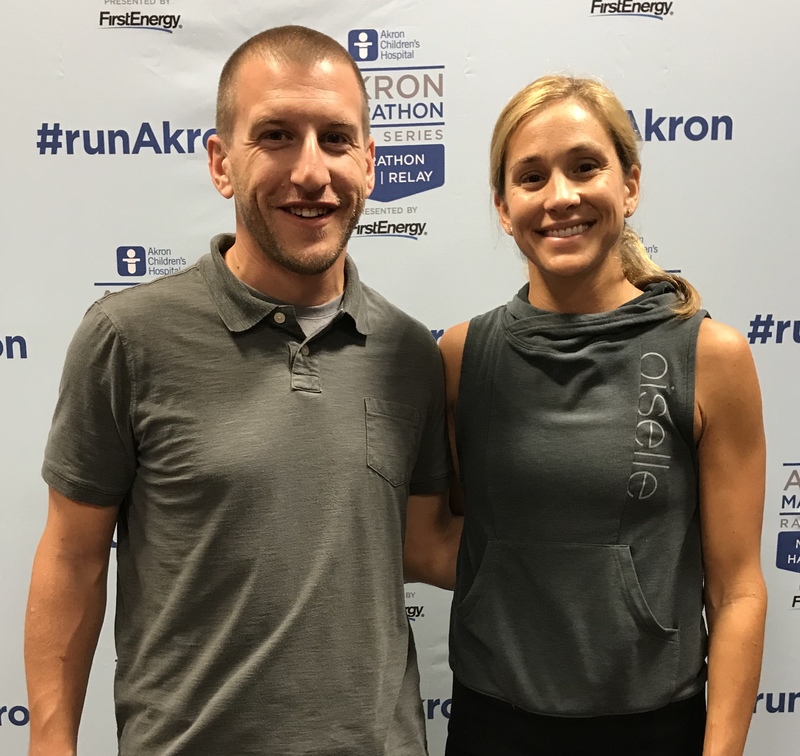 On November 29, all of the BibRave Pros participating in this Zwift opt-in were invited to jump in on a scheduled group run called the BibRave 5k. Using the Zwift Companion app, we were not only able to RSVP for the run, but could also select our desired pace group. 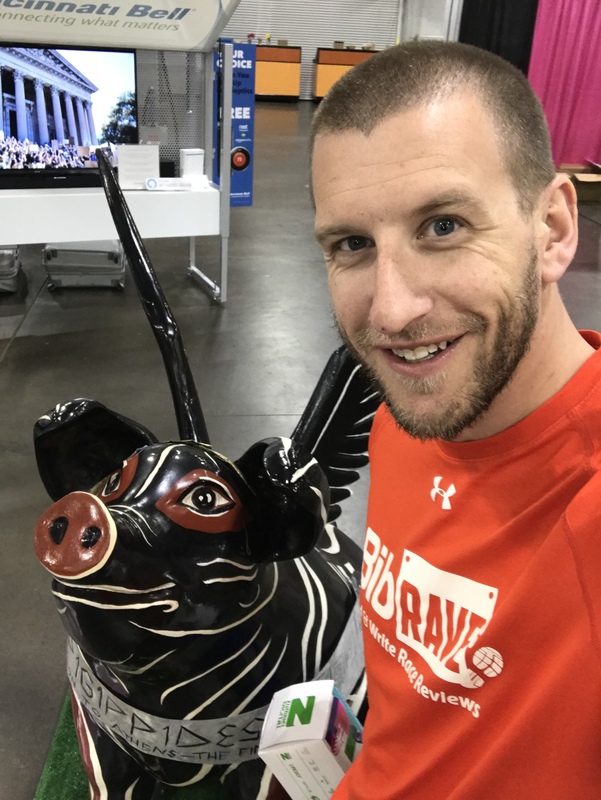 This run got so much attention via the Zwift Companion app, a runner from the United Kingdom who records his Zwift runs on his YouTube channel joined in – despite the start time being at 11:45pm in the UK! 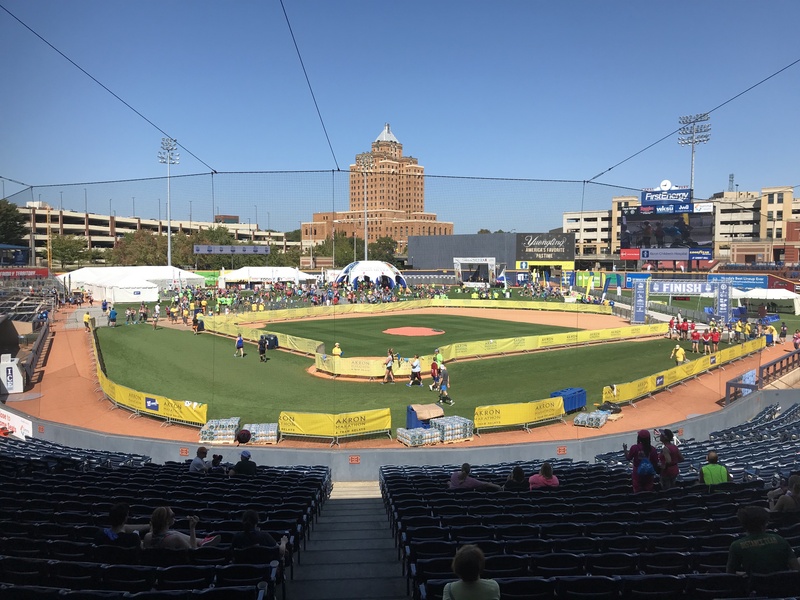 This run was a great way to bring so many members of our BibRave community “together” without actually being in the same physical location. 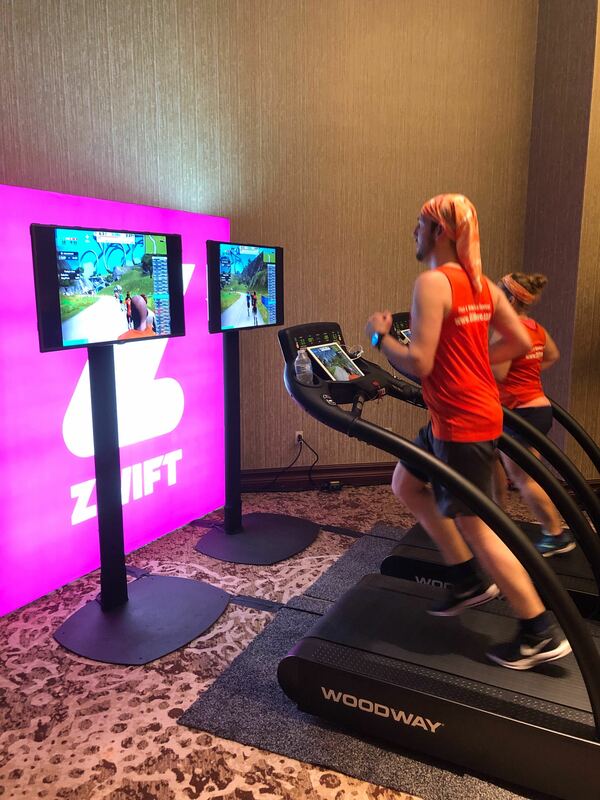 BibRave and Zwift teamed up at The Running Event (an annual running industry event) in Texas to get four of our Pros on the treadmills with the rest of us across the country. 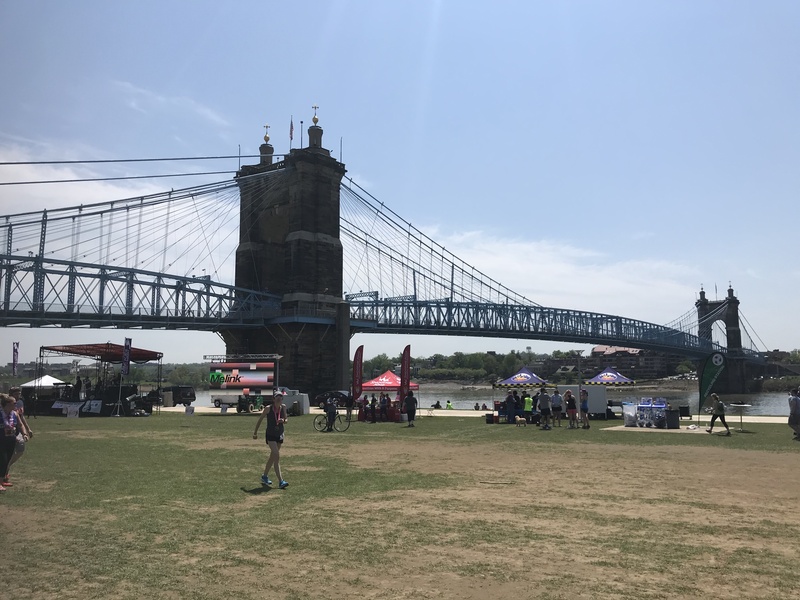 Personally, I was pretty much stride-for-stride with fellow BRP Matt M. (who is also a fellow Ohioan) for the majority of our run, pushing each other quite a bit throughout – even if it wasn’t exactly intentional. BibRave Pros running with me on Nov 29 in realtime from The Running Event in Texas! 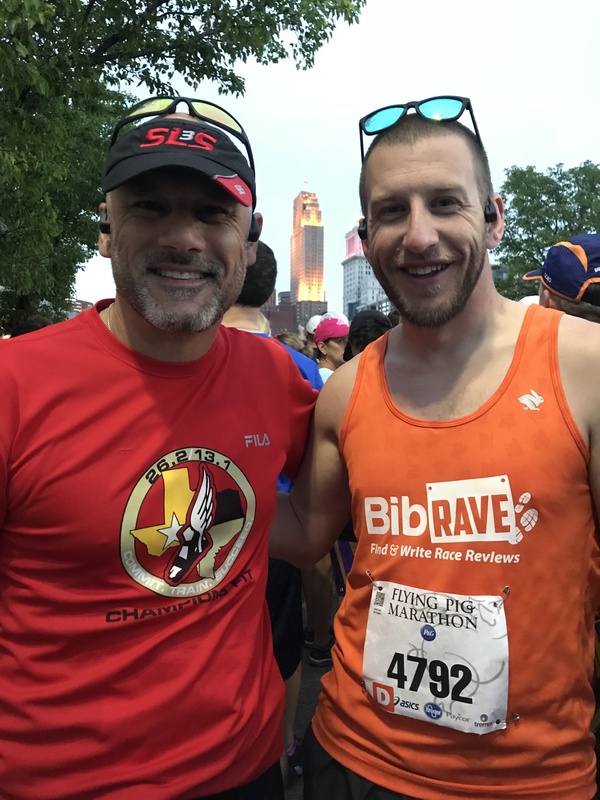 Running with fellow Ohioan and Bibrave Pro, Matt M., during our BibRave 5k. 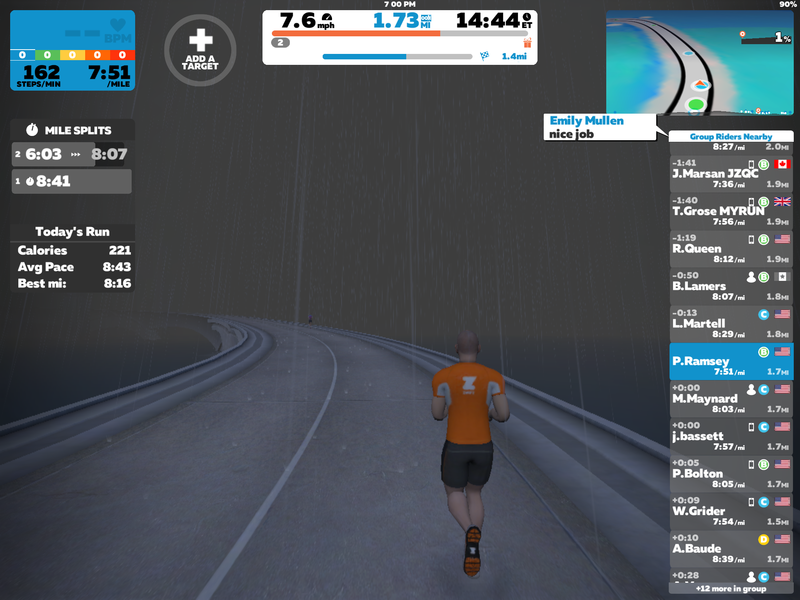 Even in a virtual world, I still get to run in the rain! With this experience in the books, I am still not a proponent of the treadmill. HOWEVER, my experience with Zwift definitely takes some of the monotony out of the equation and opened my eyes to considering actually using one, even if only a handful of times throughout the winter months. I still don’t own a treadmill, and am not actively seeking to add one to my basement…yet…but if YOU have a treadmill or access to one, I would encourage you to snag a footpod and give Zwift a shot. Check out some other Zwift reviews from my fellow BibRave Pros! Snag a RunPod for yourself and use code BibRave15 to save 15% – but hurry, this code is only good for the first 1000 RunPods! Let me be clear from the onset – never in my life have I ever been overly concerned with the idea of wellness. Sure, I’ve focused here and there on losing some weight, got back into running, and even ate a few carrots rather than a few cookies. However, I have never put a significant amount of effort into my own personal wellness. Now that I am in the field of student affairs (and have been for a few years), I find myself often wanting to make healthier choices when it comes to my personal well-being. I find myself encouraging students (and often other colleagues) to do the same. Ed Cabellon hit the nail on the head – asking how can we serve our students when we are not well? Truth is, we probably can, but not nearly to the capacity we could if were well…not even close. So, as part of my #oneword2013 to commit this year, I am throwing down the gauntlet and making a solid commitment to my personal health. My two big focal points? Smarter food choices and giving myself the kick in the rear I’ve been needing to put the running shoes back on. I began using Lose It! at some point in the early fall last year with not much success initially. However, I re-discovered it later and it proved to be pretty useful. It not only tracks meals and snacks throughout the day, but it lets you set a specific weight loss goal and track calorie intake/output so you can reach that goal. I will say that last year I did lose a good 10 lbs, which was tracked using this app. Unfortunately, I am pretty sure I gained it all back over the holidays…ugh. Speaking of putting on pounds through food – I grew up as a child of the fast-food nation. And while that statement sounds like a great beginning to a novel, it still remains the truth. In the past, I would eat fast-food once or twice a day – almost every day like clockwork Just thinking about that makes me want to vomit. Now, I’ll swing by McD’s or Subway every now and again at work, but not nearly as often. With Tammi here now (and for the past 4 months) we cook much more often and even though there’s only two of us, we seem to cook for four. And yes – I do cook…just not as often as Tammi. Still though, we hardly ever have a shortage of leftovers, which means I rarely ever have to go “out” for lunch. The first of those goals (1000 miles in 2013) is probably the one I am focusing on the most. In 2012, Tammi and I challenged each other to 366 miles in 366 days. Neither of us “won” because neither of us got close. I plan to not only smash through that mark this year, but blast past it completely and I’m already on my way. Tracking progress towards that goal has gotten much easier as well – utilizing the apps above and the various features within them. Like all “good resolutions”, none of this means anything if it isn’t put into action. Being specific in my goals helps immensely, but I am also thankful to have the support of an amazing significant other, co-workers/friends, and an online student affairs wellness pledge group who have helped keep me accountable thus far. 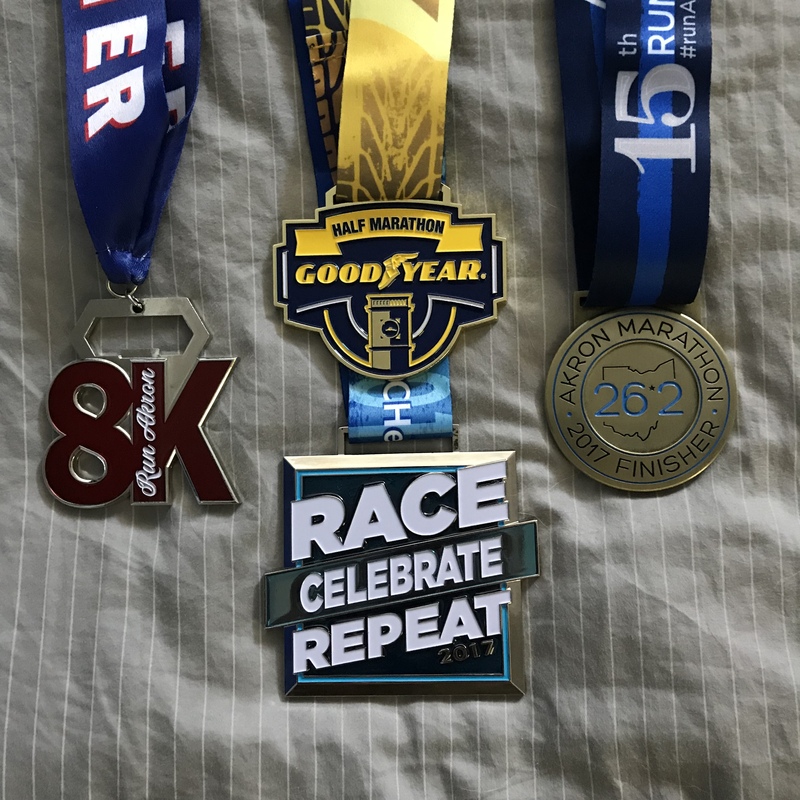 I’m already keeping track of my progress, running consistently, and already eating much better. I’m not planning to go overboard on the wellness idea, but it feels good to know that it is a significant item in my world now where it wasn’t so much in the past. How are you planning to commit to your personal wellness this year? As 2012 gets off to a fairly quick start, I find myself lacking in the resolution department. This really isn’t a huge surprise, nor is it a huge departure from the norm, but I’ve actually taken notice this time around. I have a few goals I’d like to reach, and am still digging a little deeper on a few (see a future post regarding SMART goals…), but no huge resolution. Well, that was the case until I returned from my vacation and began hearing about co-workers and other professionals choosing One Word Resolutions for the coming year. The idea, if you are unfamiliar, is to select a single word that will essentially sum up how you want to act, do, live or what you want to achieve before the end of the calendar year. After a few conversations with co-workers, I’ve decided to join the One Word movement and my word for 2012 is PUSH. 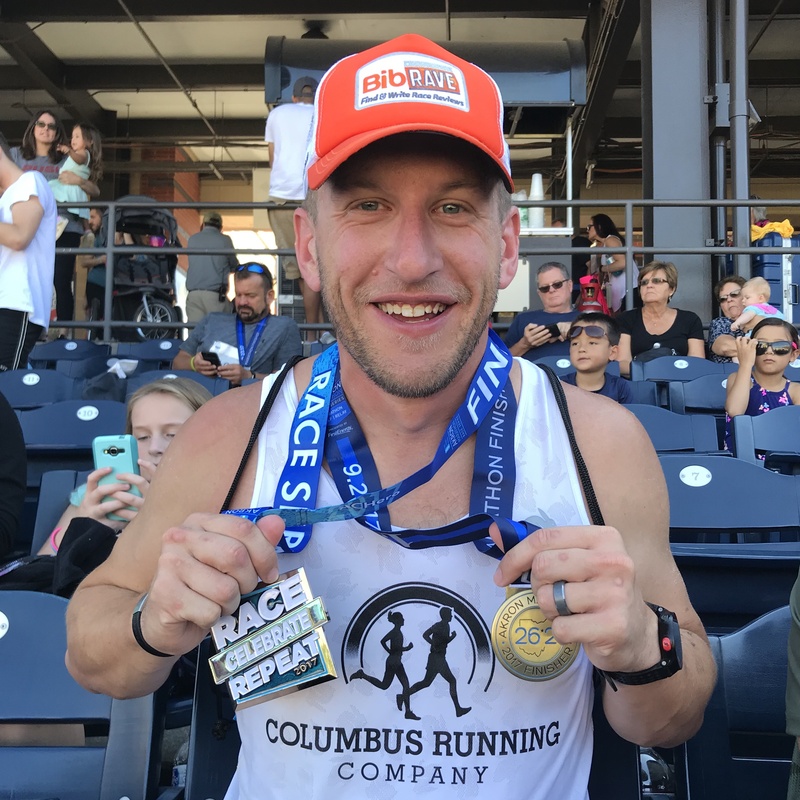 Over the last 12+ months, I have found myself pushed and pulled in every direction possible – some good, some bad – and I’m not sure that fits with who I want to be or what I want to accomplish. I want to push myself towards legitimately accomplishing my set goals, push myself by motivating others, and push myself to strive for those things that make me truly happy – professionally, personally, socially. Pushing myself also includes pushing past my known limits, but not pushing myself over the edge. Push, to me, is a positive word for 2012 and I’m going to own it, have fun with it, and learn from it. 2010 and 2011 pushed and pulled me in many ways – 2012 is when I push back!